Hamburg (renewablepress) - The Nordex Group (ISIN: DE000A0D6554) today presented preliminary figures for financial year 2018. According to these figures, the company generated consolidated sales of EUR 2.46 billion (previous year: EUR 3.08 billion), which is within the guidance corridor of EUR 2.4 to 2.6 billion. Earnings before interest, taxes, depreciation and amortization (EBITDA) amounted to EUR 101.7 million (previous year: EUR 200.7 million). This represents an EBITDA margin of 4.1 percent (previous year: 6.5 percent), which is also within the expected range of four to five percent. The company significantly improved its working capital ratio as a percentage of consolidated sales from 5.3 percent in the previous year to minus 3.8 percent, thus delivering on its guidance of coming in under 5 percent. This improvement was due to the continued successful implementation of the working capital program and the high order intake. In the reporting year, the Nordex Group invested EUR 112.9 million (previous year: EUR 144.3 million), thus meeting its guidance of around EUR 110 million. 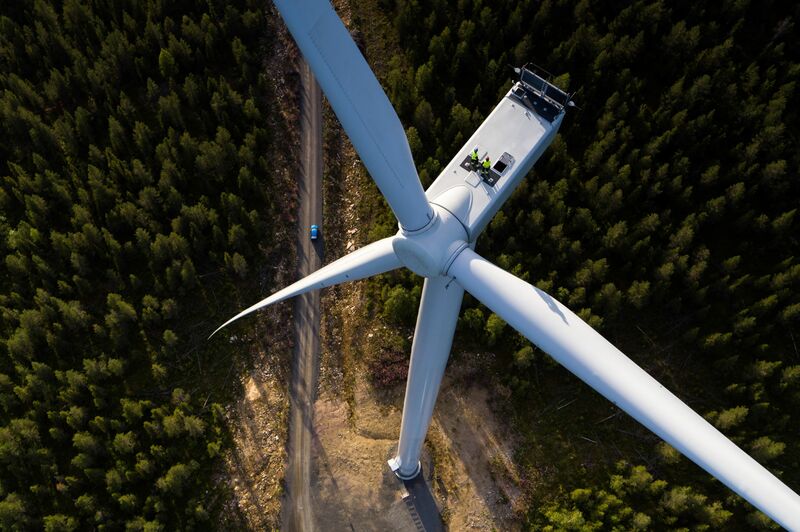 In 2018, the Nordex Group lifted its order intake by 73 percent from 2.74 GW to 4.75 GW. Underscoring the company’s global positioning, these orders are distributed across Europe (45.1 percent), North America (15.2 percent), Latin America (25.0 percent) and the rest of the world (14.7 percent). The orders for the new turbine models N149/4.0-4.5 in Sweden (475 MW “Nysäter” project) and AW140 in India (300 MW “Mulanur” project) are especially noteworthy in this context. "The year 2018 has shown that the measures initiated by us have been effective. Our new high-efficiency turbines have met with positive feedback from customers, and we continue to see strong demand. We started 2019 with a promising order book and have a solid financial structure, not least thanks to our successful working capital management," said José Luis Blanco, CEO of the Nordex Group, summarizing the situation. The Nordex Group will present its audited figures for financial year 2018 including its guidance for 2019 on 26 March 2019. The Group has installed more than 25 GW of wind power capacity in over 40 markets and generated sales of around EUR 2.5 billion in 2018. The company currently has more than 5,500 employees. The Group’s manufacturing network includes factories in Germany, Spain, Brazil, the USA, India, with plants in Argentina and Mexico to be added soon. The product portfolio is focused on onshore turbines in the 1.5 to 4.8 MW class which are designed to meet the market requirements of countries with limited available space and regions with limited grid capacity.